ShoulderSurfing is a mod I created from scratch which replaces the default third person behind-the-body view (F5 key) with a more traditional "over the shoulder" view. This style of camera was pioneered by games like Capcom's Resident Evil 4. This mod injects code into base files so it may not be compatible with other mods that modify the rendering engine. This is also a forge mod, so it will require forge and go into the mods folder. The Forge files go into your minecraft jar. 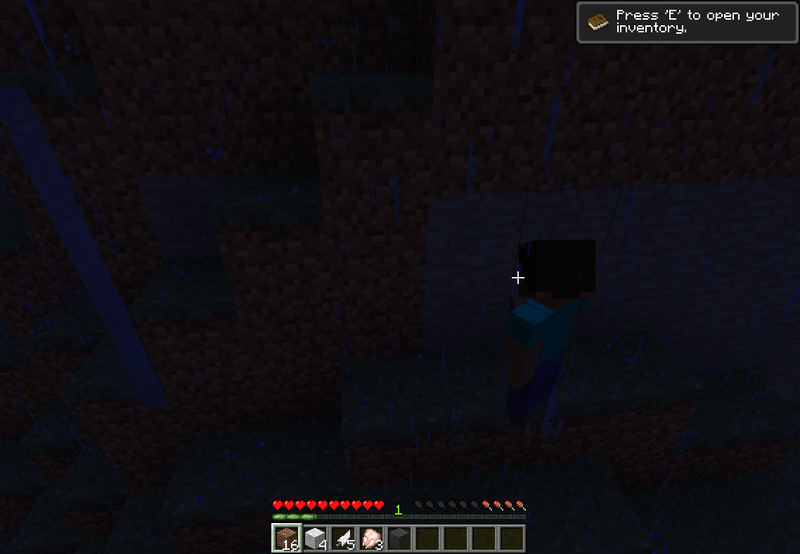 For Minecraft 1.6.2 Download Shoulder Surfing 1.5.1 MOD! Some pictures may display features from random mods I have installed. Note that this mod only has the over-the-shoulder camera changes, nothing else! More pics with some mods, different rotation/zoom settings, different FoV, etc. Mods that heavily modify certain base classes may break this mod. Your forge client log will show if the code injection fails or not. First install Forge universal files from files.minecraftforge.net. 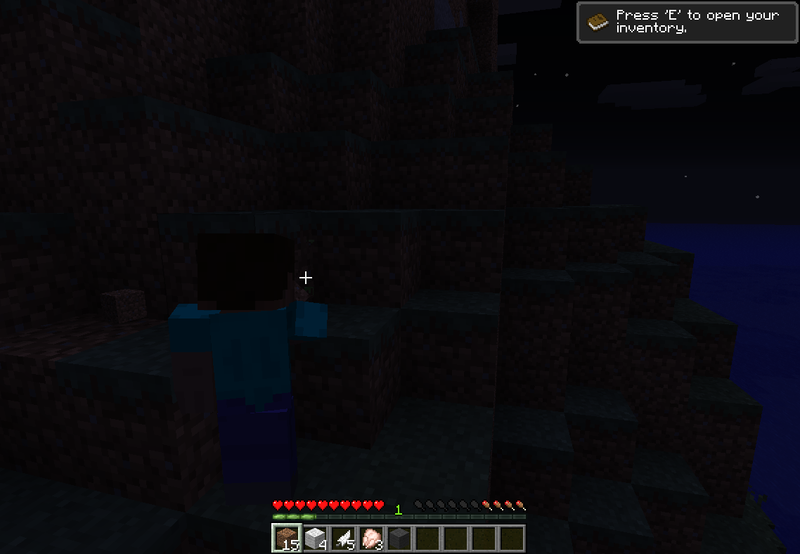 Make sure it is an up-to-date version for your version on minecraft. The JAR file needs to go into the MODS folder under Minecraft. Make sure to remove any previous versions from the COREMODS and MODS folder. This mod will not work if placed anywhere but the MODS folder! KeepCalm for excellent documentation on Forge, coremods, and ASM. If you want to learn it, look for this name! Just ask and I will do my best to answer. My free time is very limited so there may be a (huge) delay in replies, if I reply at all. Please note this is new and I have only tested it locally so who knows what kind of bugs might creep up. I suggest testing with a clean minecraft jar and just forge, especially if you use a lot of things that edit base files. Really cool mod! Great Job! Updated. This mod is now a forge coremod, which injects code into the base classes instead of overwriting them. It does not guarantee compatibility with mods that mess with base classes, but it helps a lot. Only problem I've encountered so far, is when you back up against a wall, the camera still zooms right into the back of your head (like the vanilla 3rd person camera), rather than next to it, which makes negotiating small spaces a bit difficult, but other wise this is a great mod, good job! Edit: Actually, after a bit more testing, it seems that this mod disables Optifines zoom capability. Not a gamebreaking issue by any means, just a heads up for anyone that wants to use this with OF installed too. 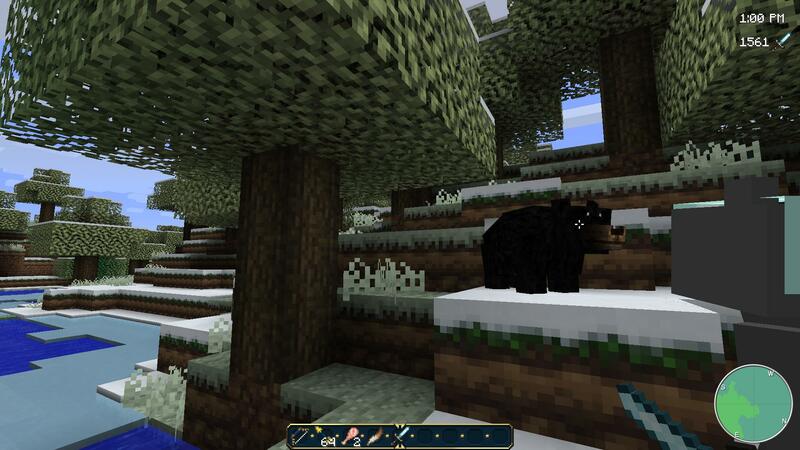 Try the new version, it should be more compatible with Minecraft. Install Forge into the minecraft jar, then this mod to the Coremods folder. F5 should toggle between first-person view, third person over the shoulder, and third person head-on views. I should probably make a video or something that is easier to see than screenshots at night. Found a big bug umm when you shoot an arrow it goes and stops in midair and falls strait down. When you are doing anything like shooting a bow for example, the arrow does not shoot where it should. You really need to make it where no matter what the player will be looking at the crosshair. 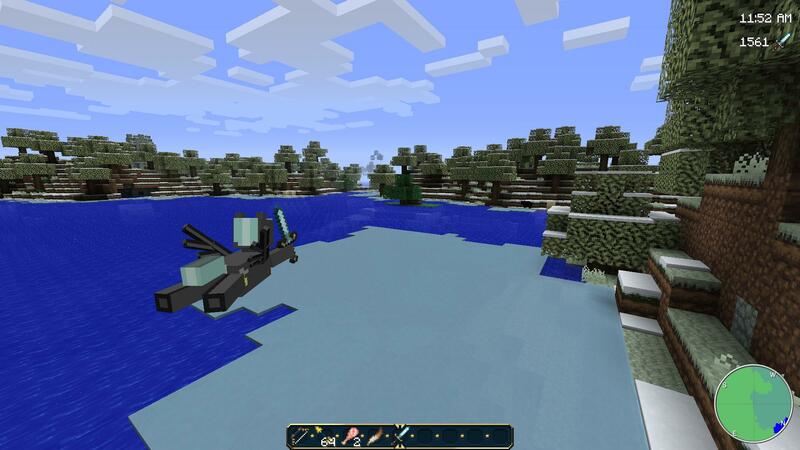 hey, i love this mod but when i install this with optifine the water turns invisible in fancy graphics. Is not from the mod, its a Minecraft issue. But i dont know what causes it. "Love as a principle and order as the basis; progress as the goal"
Amazing Mod! I love the corrective crosshair! This reminds me of the better third person mod. Can you try to make this mod compatiable with the improved first person mod. I personally think this is better than the better third person mod even if the crosshair doesn't show unless you're close to the block. The crosshair can display farther if you mess with the config file. I don't have the code on me so I don't recall what the option is named. 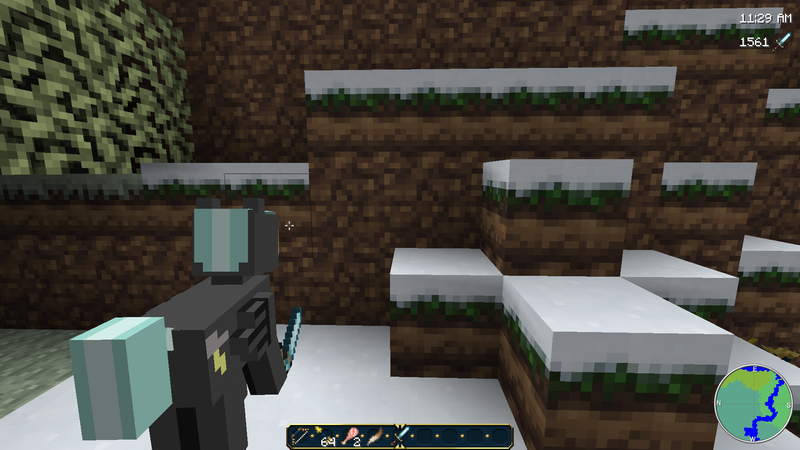 Basically the default is to only show a crosshair if you can reach the block or entity. You can turn this off in the config. There is also another setting to show the crosshair on the horizon if nothing is in range, which may be useful for shooting bows and such. I can probably make it all simpler without messing with the config, but I'm busy at work right now and coding the byte code injection is a serious pain. Support my sister's My Little Pony: FiM art! 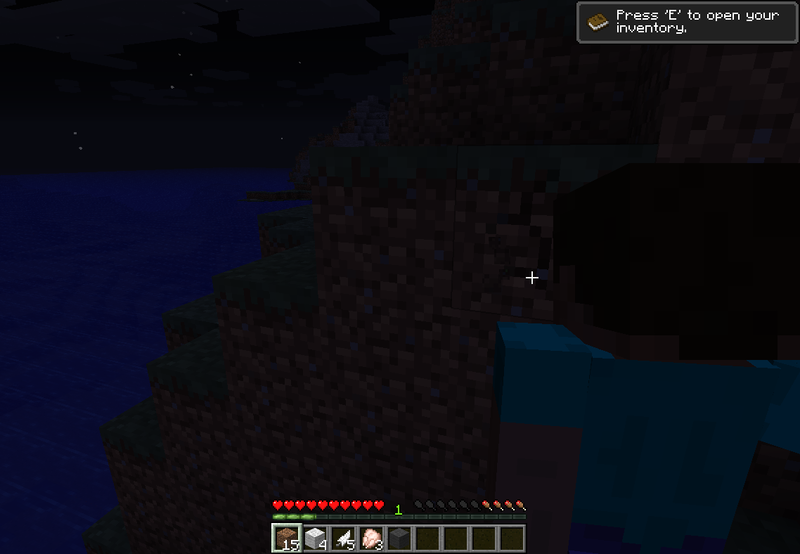 Shoulder Surfing mod is Episode 188 in my Mod Review Collection. Thanks Sabar for this awesome mod!